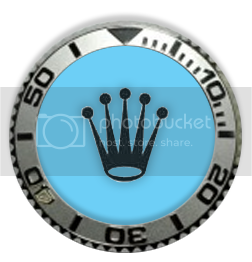 Discussion in 'Other Watch Brands' started by jmsrolls, Jul 24, 2012. Nice. 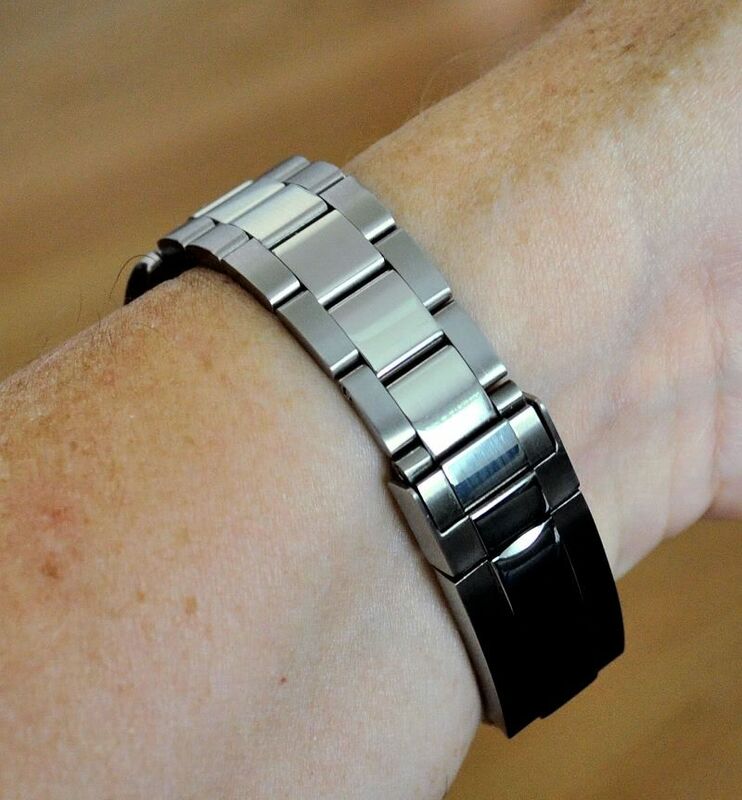 On which watch are you installing this movement? More to come. Be patient. The assembly is complete along with pressure testing and all looks good. I located an appropriate bracelet last week and it should arrive tomorrow. I'll let it run out for a couple of days and then post some photos. If this movement is anything like the 2824 in my custom beater (the most accurate watch in my collection), I will be very pleased. The bracelet arrived yesterday and it may require some modification before I'm really happy with it. The missus likes it but IMO, it's a little too "blingy" for the watch's persona. I love the sterile dial and case of my first 2824 custom and saw this case along with dial, hands, and bezel listed on a Sales Corner. 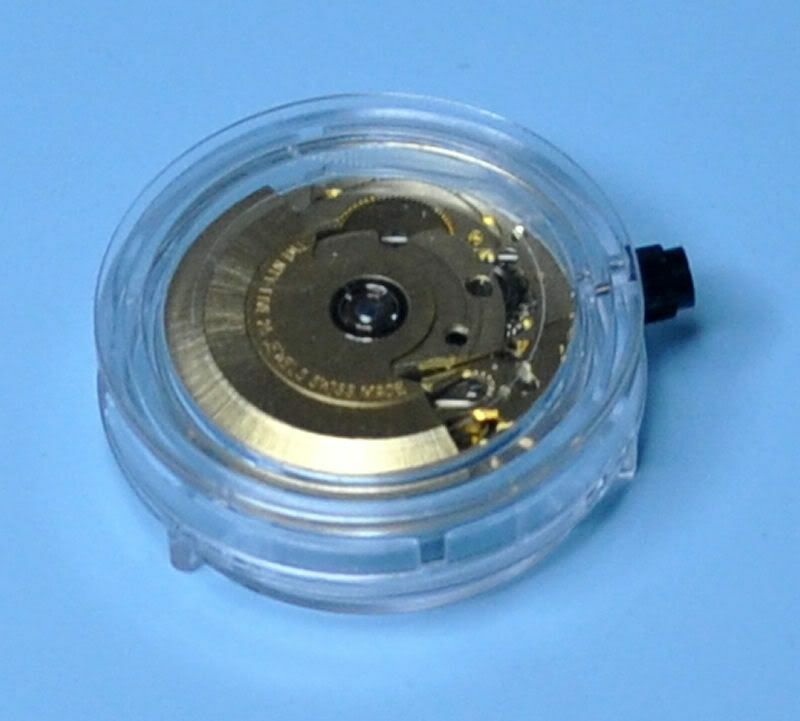 The new 2824-2 movement with date wheel showed up on eBay at a good price. It is authentic Swiss ETA. I needed a bracelet and went back to the Sales Corner source for the Chinese "Glidelock" oyster. WR is 500ft. The machining is not up to Omega or Rolex standards but for ~$200, I'm not complaining. 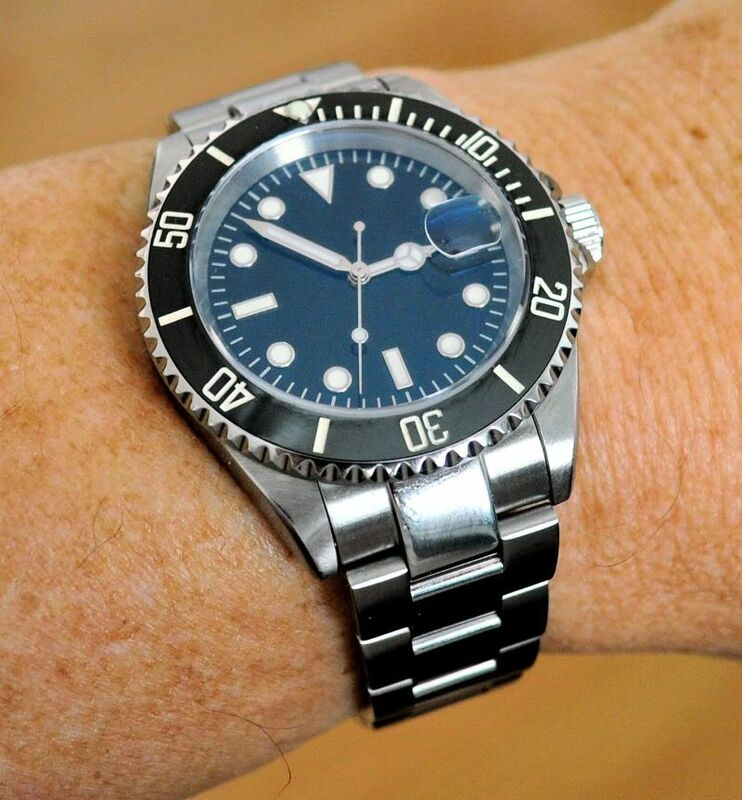 My major objection to the Rolex Sub has been all the knock-offs and look-alikes. If I were going to spend that kind of money, I did not want to see what I was wearing on every wrist. This little watch has sterile dial, case, and bracelet without pretending to be anything else but what it is - anonymous. I may make a couple of changes, perhaps sword hands and brushed PCLs, but I'm going to enjoy it as is for a while. 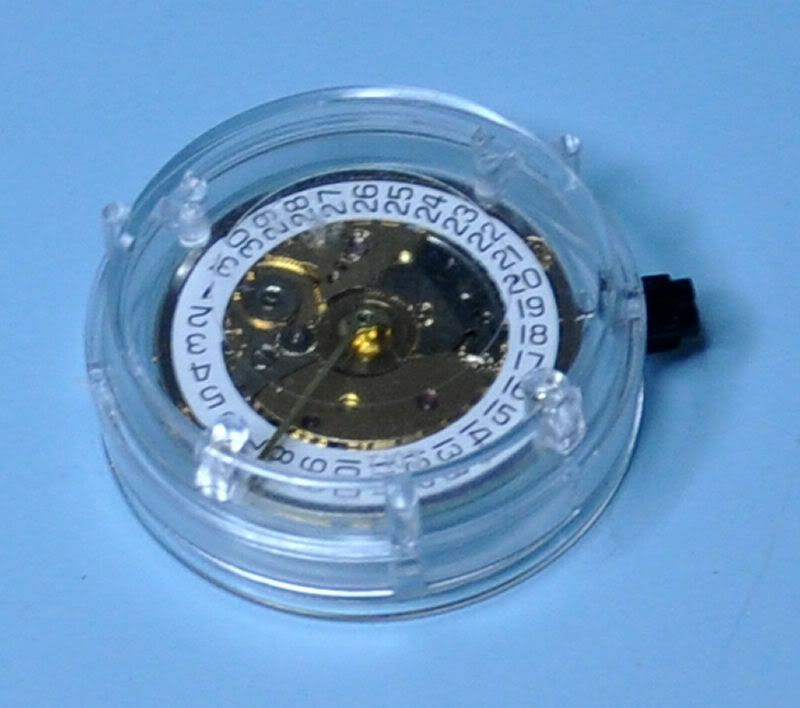 BTW, I have a new dial and set of sword hands ordered for the other custom 2824. The original tritium is fading so luminova will improve the night time glow.